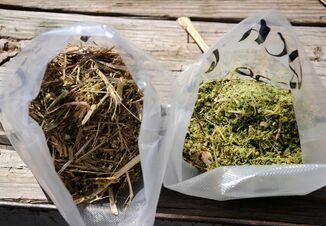 Homegrown forage is the most important feed ingredient available due to a producer’s ability to control quality and be 100% sure what he or she is feeding. It’s also cheaper and typically higher quality than purchased forages. 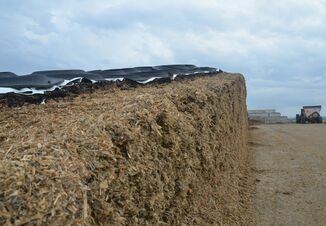 “Doing everything you can to improve the quality of homegrown forage, and therefore silage digestibility, is incredibly valuable to your operation,” said Luiz Ferraretto, assistant professor in the Department of Animal Sciences, University of Florida. 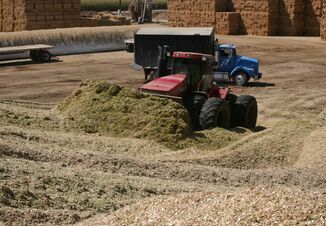 Silage digestibility is important for two reasons: fiber digestibility and starch digestibility. The more digestible the fiber, the faster it will be digested in the rumen. Consequently, cows will be able to consume more feed, which means they will have greater energy. To improve starch digestibility, breaking kernels is the most important factor. If you don’t break kernels up enough, the rumen material or enzymes in the intestine will not be able to access the starch, Ferraretto said. The greatest increase in starch digestibility is during the initial three to four months of storage. Digestibility continues to increase the longer you continue the fermentation process, but the magnitude of those changes becomes smaller. If planning to increase length of fermentation, it’s also important your silage be well packed and sealed and treated with a microbial inoculant to safeguard your investment.